Just what the title suggests. Thank you to everyone who supports us on the daily and to everyone who rocks the hell out of our products, checks out our social pages and this website which is celebrating it’s 15th year of being on the internet. Wow does time fly. To commemorate our 15 years of existence, we’re dropping 15 collaborations sporadically throughout the year. The first collaboration is our second collaboration with G-Shock that will release on 1.31.2014. We unfortunately sold out of the pre-orders but we will have them online and available at our retailers and flagship stores. The second collaboration is with one of the best cycling has to offer, Capo Cycling. We will be releasing that collaboration the 2nd week of February and will officially release the Tselli line of products geared toward sport. Light weight and breathable stuff. You’ll have to stay tuned in for the rest of the collaborations but its sure to be an awesome year. Once again, thank you to all the musicians, rappers, drivers, athletes, riders and especially YOU who makes our brand what it is today. I’m extremely humbled and thankful for all your support. 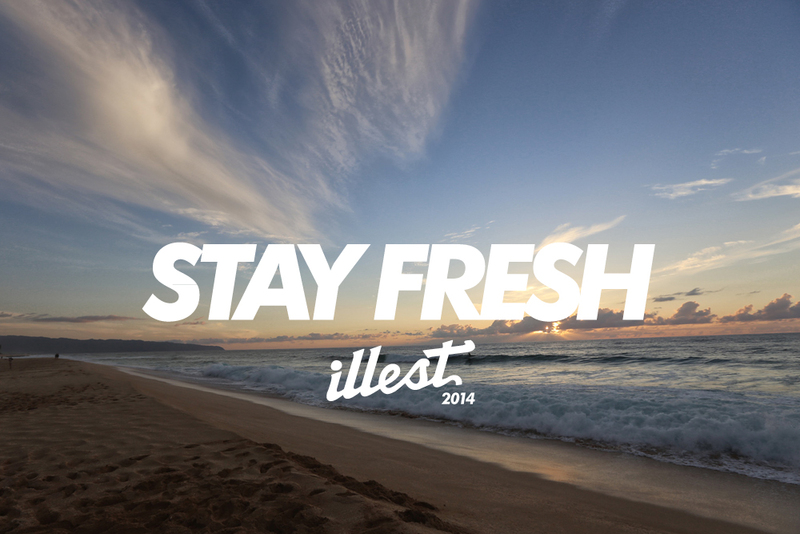 Good Vibes, Stay Fresh for 2014.